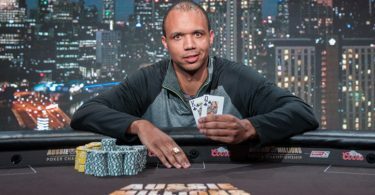 Full Tilt Poker, an Irish online poker cardroom, is one of the brands owned by The Stars Group, a Canadian publicly listed online gambling company. It is also known for the most licences in the world: it has 17 licenses from different jurisdictions and is allowed to operate in many countries in Europe and North America. This Full Tilt Poker review is one of the several Stars Group companies reviewed here at PokerSites. Full Tilt Poker before and after the acquisition by PokerStars has always enjoyed one of the best poker traffic. There are usually tens of thousands of players 24/7 who play tons of games and tournaments, which are happening incessantly on fulltilt.com. The platform is typically full of 20,000 ring game grinders, 90% of which enjoy No Limit Hold ‘Em while most of the rest prefer Omaha tables. Relatively few play at 7 Card Stud and Razz tables. Full Tilt Poker tournaments see a lot of action in MTTs and Sit and Go’s. Full Tilt Poker is also known for hosting some of the most exciting events on the internet poker arena, such as Rush Poker and the Matrix Tournaments. The Full Tilt Poker games include Texas Hold ‘Em, Omaha Hi, Omaha Hi/Lo, Razz, Seven Card Stud, Seven Card Stud Hi/Lo, Draw Poker, Mixed Games. All games can be played with free or real money. They want to make the platform suitable for both pros and rookies. For beginners who want to learn without risking anything, they have Full Tilt Free poker games. Whenever they feel comfortable, the new players can move to the fast-paced Zoom tables, available in both real and play money versions. Full Tilt Poker also offers a huge variety of tournaments: Beat the clock, Bounty, Bubble Rush, Rebuy tournament, Fifty 50, Max 6 and Max 4, Multi-stack tournament, Multi-table tournaments, Win the button, Turbo, Sit & Go, Spin & Go, Live events (such as PokerStars Championship or a PokerStars Festival) and many more every day. As for the rake, they use a “no flop, no drop” policy. This means they won’t rake a hand until it reaches the flop (for Hold’em and Omaha), or 4th street (for Stud games). The Full Tilt Poker rake is usually about 5% up to $3 at 6-max and 9-max tables. Full Tilt Poker bonuses section has a nice fat welcome package for new players. When you make your first-ever real money deposit, you get a 100% bonus up to $600.To claim this bonus, you’d have to make up to three qualifying deposits within 60 days of registration. New players can also use Zoom Freerolls deposit offer. You will just have to deposit $10 and use the Full Tilt Poker bonus code BOLTTICKETS, with which you can get three tickets to enjoy daily Zoom Freerolls. Full Tilts also pampers its players with a generous reward system called Edge. In case of being maximised, Edge will give you a decent 25% rakeback percentage. You also earn Full Tilt points by simply playing; you can use them to buy Full Tilt tournament tickets, cash bonuses and more in their online store. Full Tilt Poker features a very high quality, fast and interactive software for you to have the best experience possible. With this Full Tilt Poker software, you can choose the language you are most comfortable with, set up a colourful avatar, choose a colour scheme or a theme for your poker table, resize your table and so on. Also, it is a lot easier now to check your statistics, to zoom in a tournament and to keep track of the opponent’s tendencies. To get the desktop application, Full Tilt Poker download options are available for PC, Mac and laptop. The Full Tilt Poker app is also available for iOS and Android users, in case you like playing on your mobile device. Before depositing, you should choose your country from the drop-down menu. After that, you can select the Full Tilt Poker payment method you prefer. Pretty much all payment methods are possible for you to select start from Webmoney, Neteller, credit or debit card payments, wire transfer to Entropay. All of the player funds are held in segregated accounts and are not used for any operational expenses. These accounts are managed by a leading European bank to make sure that Full Tilt Poker will be able to fulfil its obligations towards its customers at any time. The website is safe and secure, as it uses the latest SSL encryption technology, as well as stores your personal information and financial details on secure servers. As mentioned before, the platform is licensed by 17 different jurisdictions, which ensures extra security, as well as the fairness of the games. Independent audits and tests are regularly conducted. The platform also makes sure to remind its customers about the importance of responsible gambling. It has a strict age verification system, as well as the opportunity of setting up a deposit limit for yourself. The webpage also gives you lots of useful information on how to play responsibly. Despite the fact that the FAQ section containing extensive information and answers to pretty much any possible common question, the customer service representatives are at your disposal 24/7. If you have an account already, you can address your questions to the support through the Contact Support Form, which is the quickest way to contact them. Otherwise, you can email them as well. 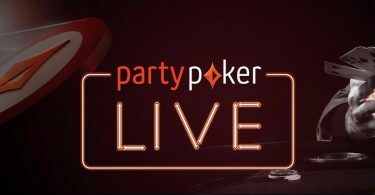 Except for the absence of a live chat, there is nothing negative about the platform I could find during my research for this Full Tilt Poker review. This omission does not affect the quality of the games and the high-quality software, the variety of events and tournaments and other features of high importance. Due to its game variety, welcome package and secure environment, Full Tilt Poker is an excellent platform for players, who are just making their first steps in the world of poker, but also for experienced veterans, who wish to play with the best.